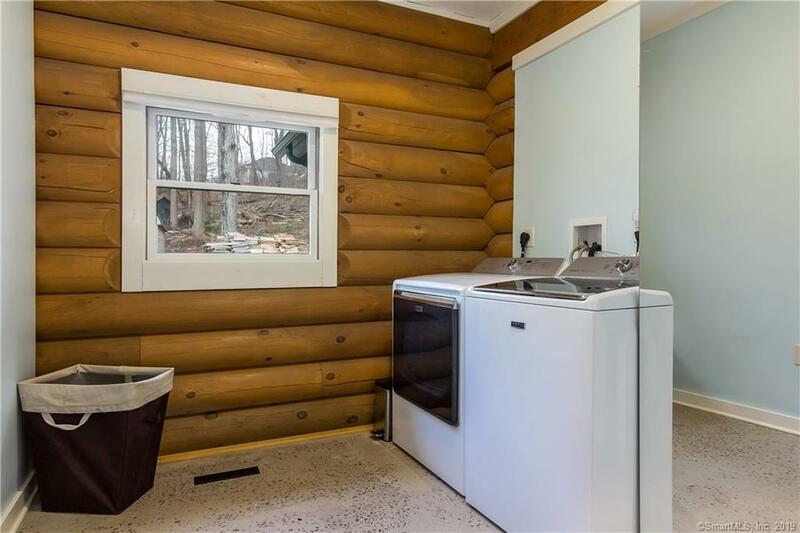 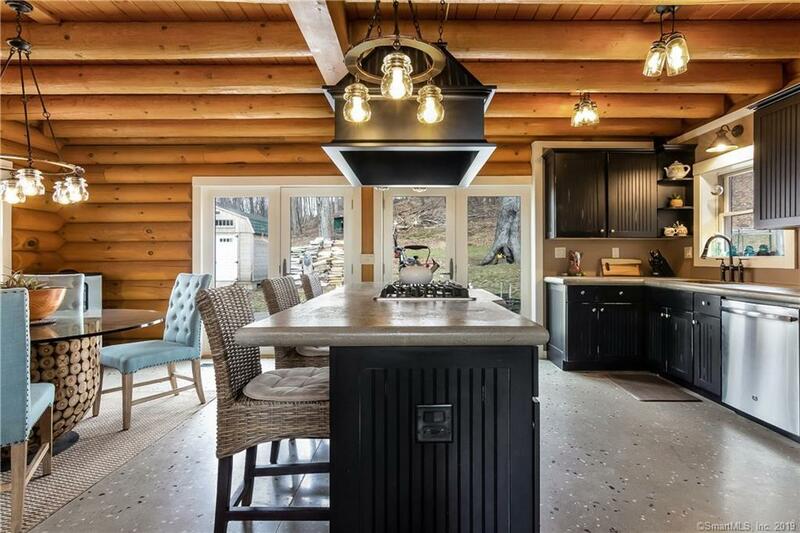 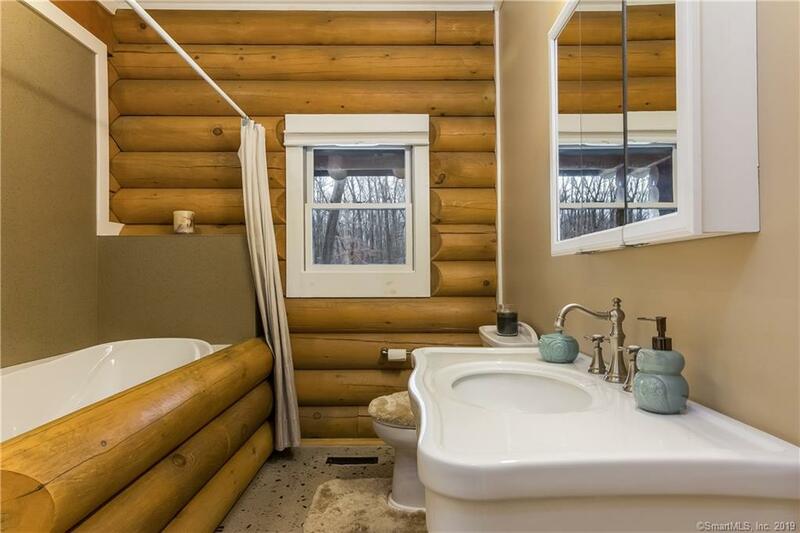 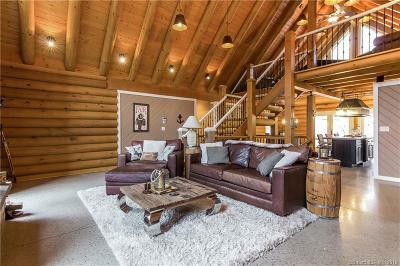 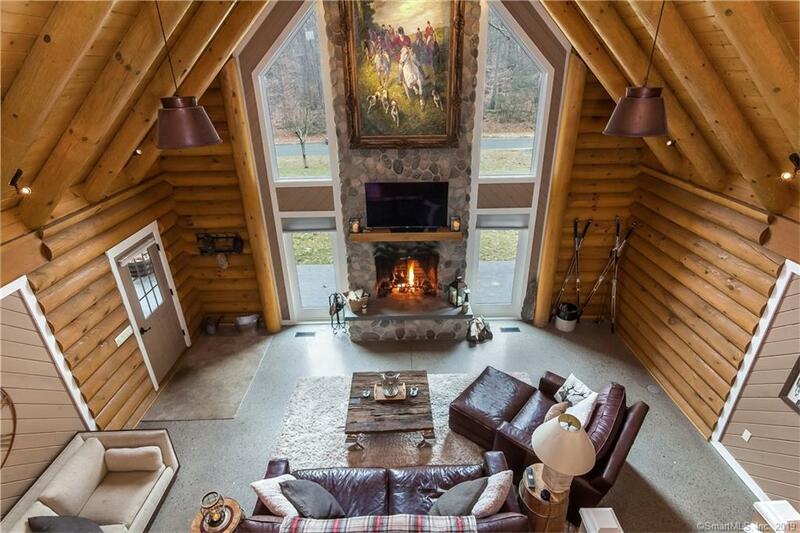 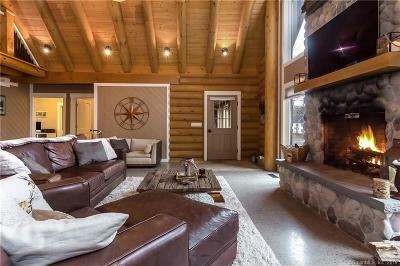 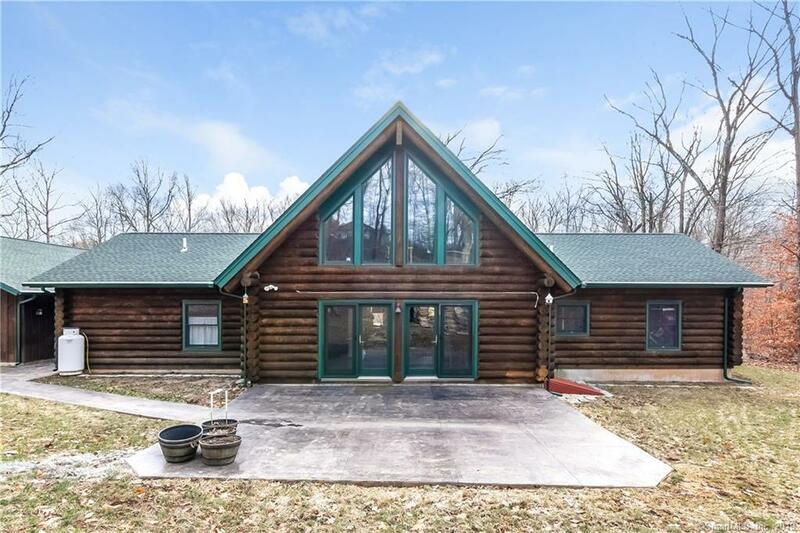 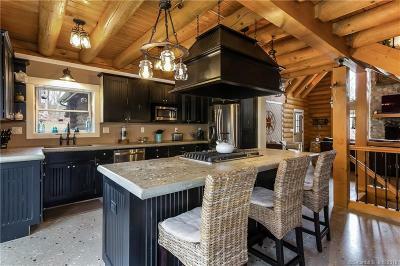 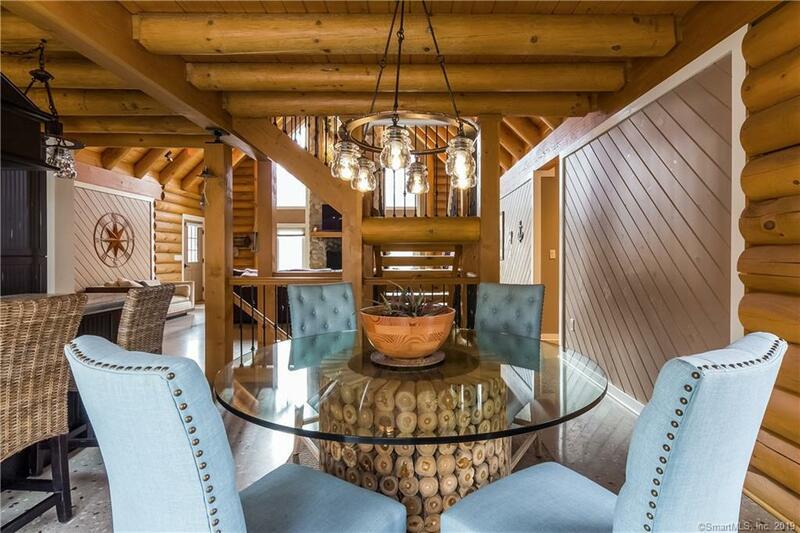 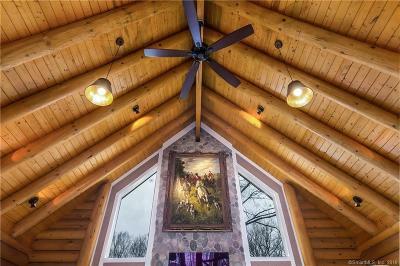 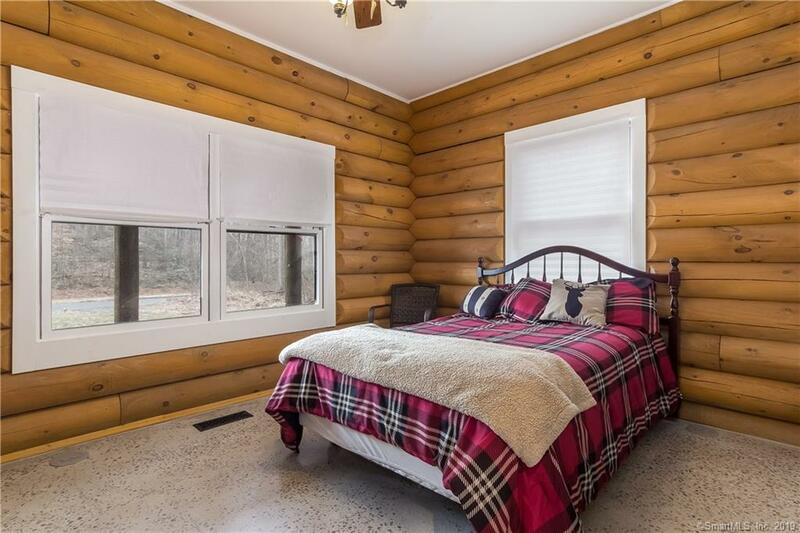 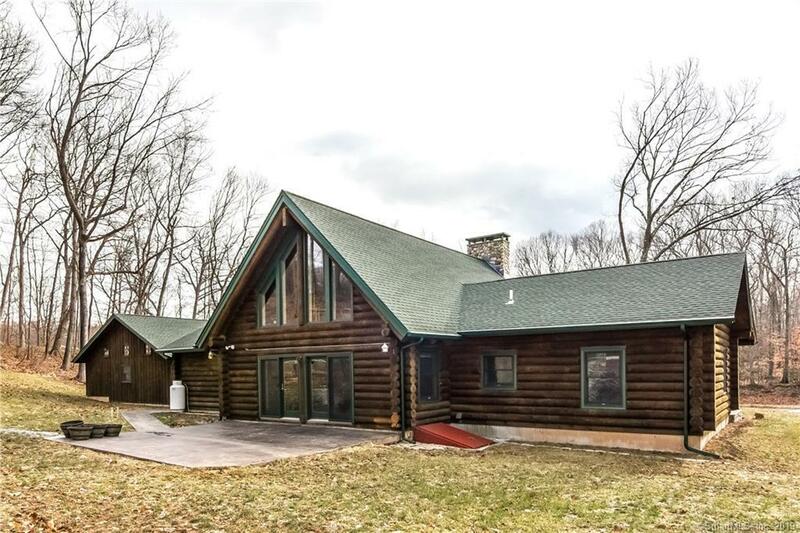 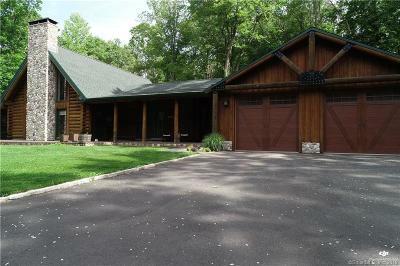 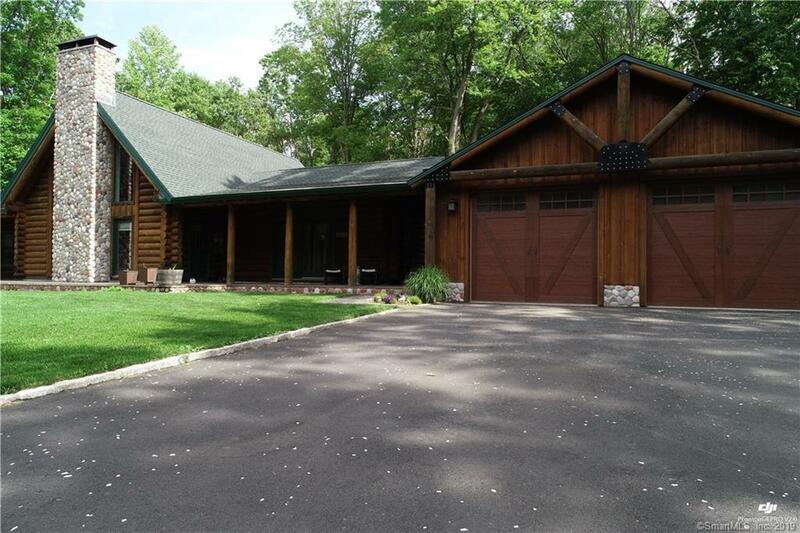 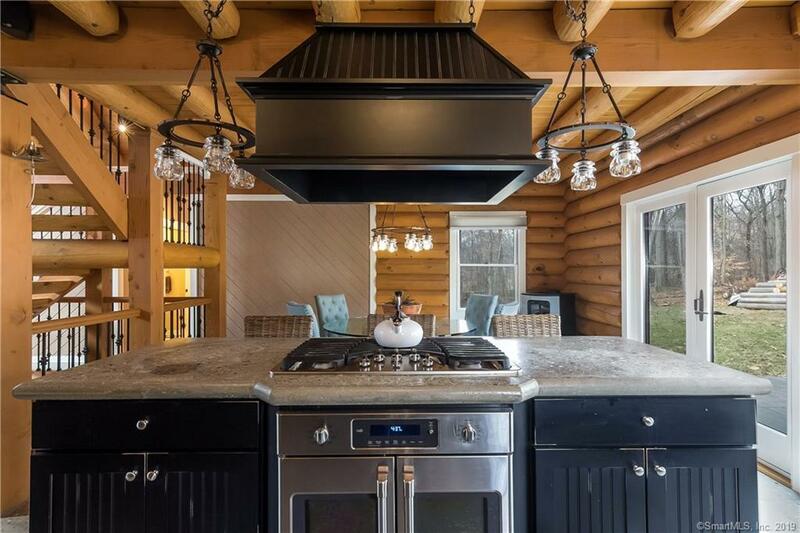 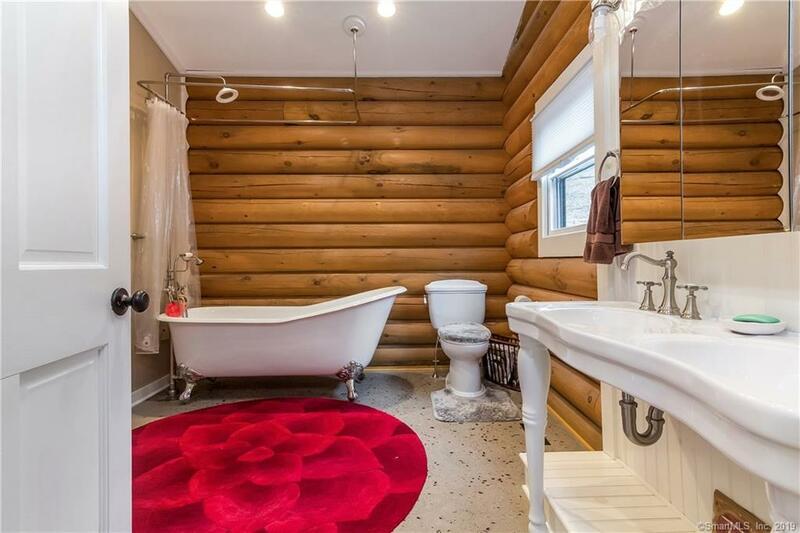 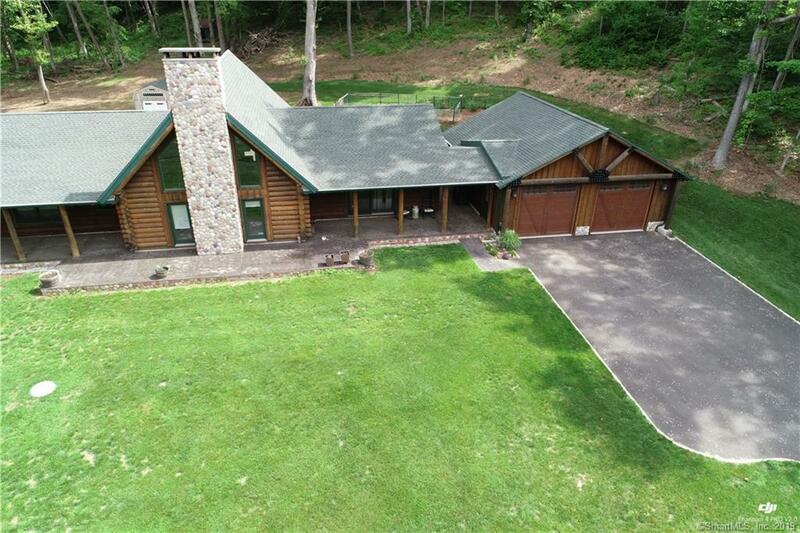 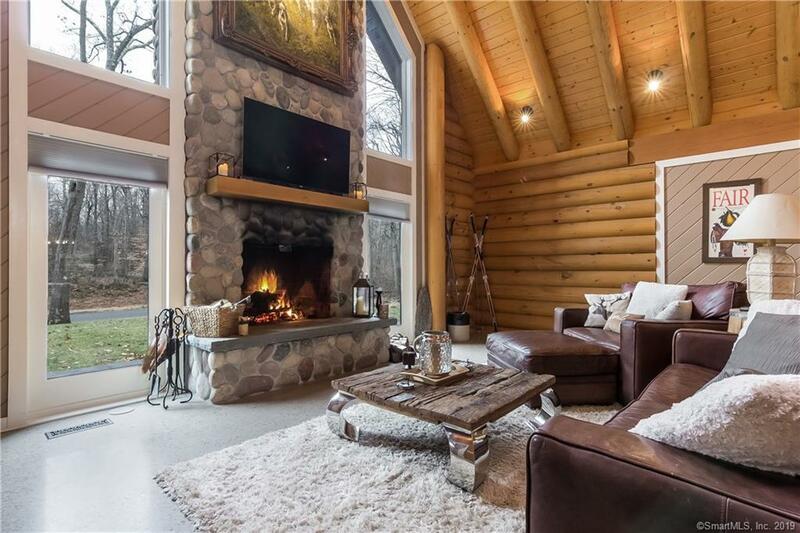 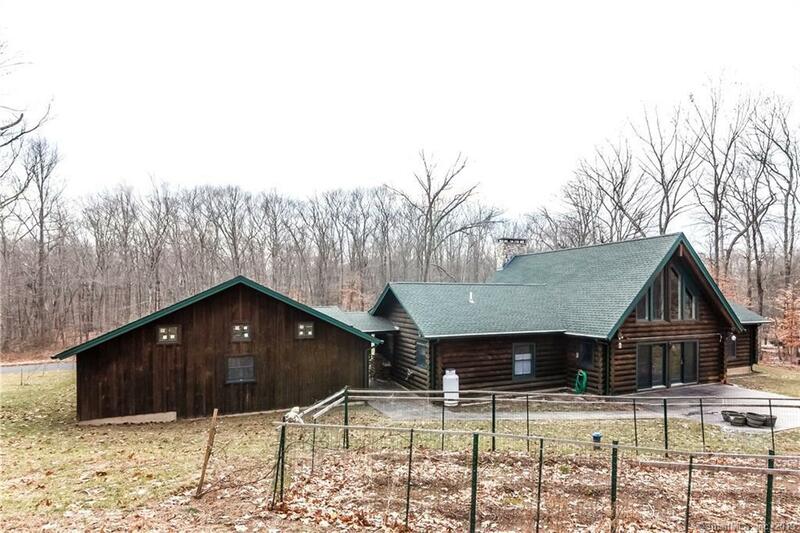 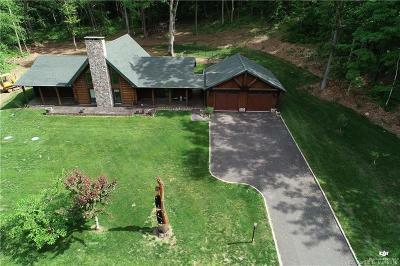 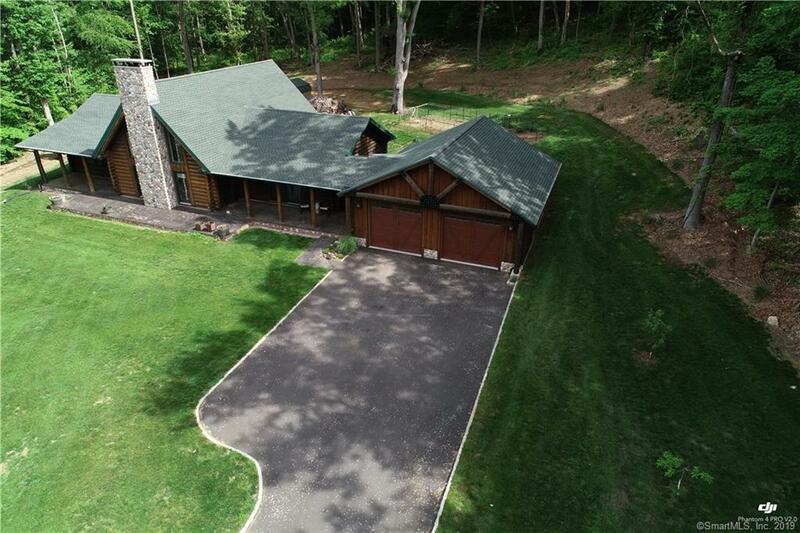 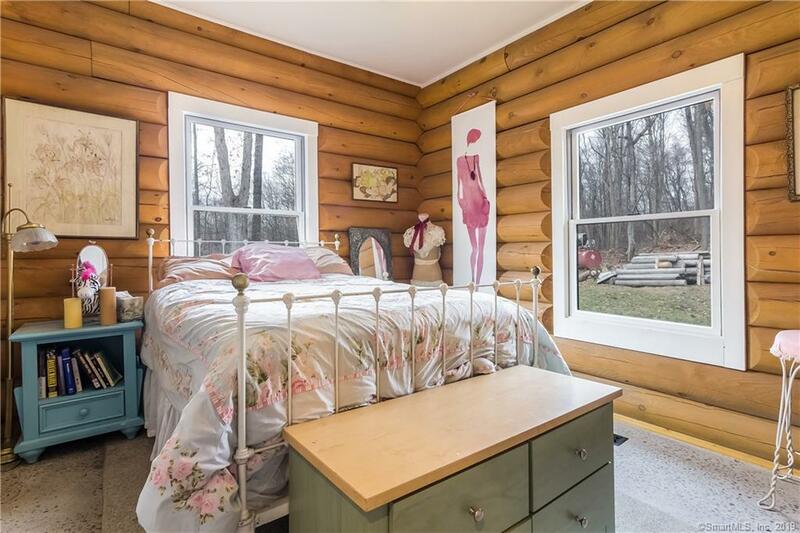 This well constructed, full round log home has the feel of a mountain chalet! 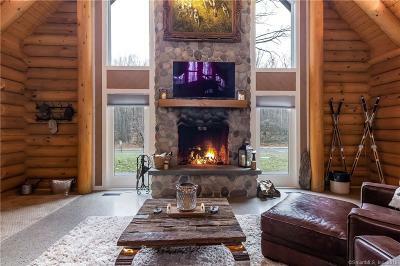 The striking, open floor plan has a two story round stone fireplace visible from the living room, kitchen, dining room and loft. 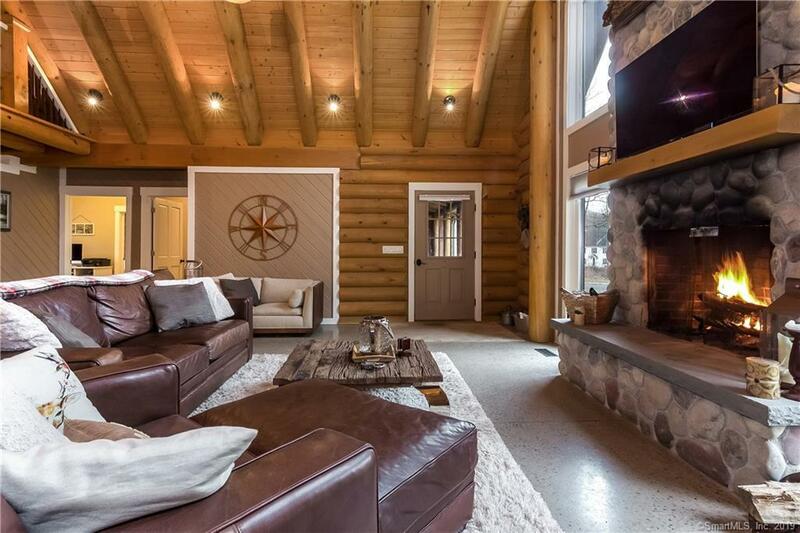 The rounded log beams, cathedral ceiling, beautiful lighting fixtures and two story windows gracing either side of the fireplace create a rustic yet contemporary living room. 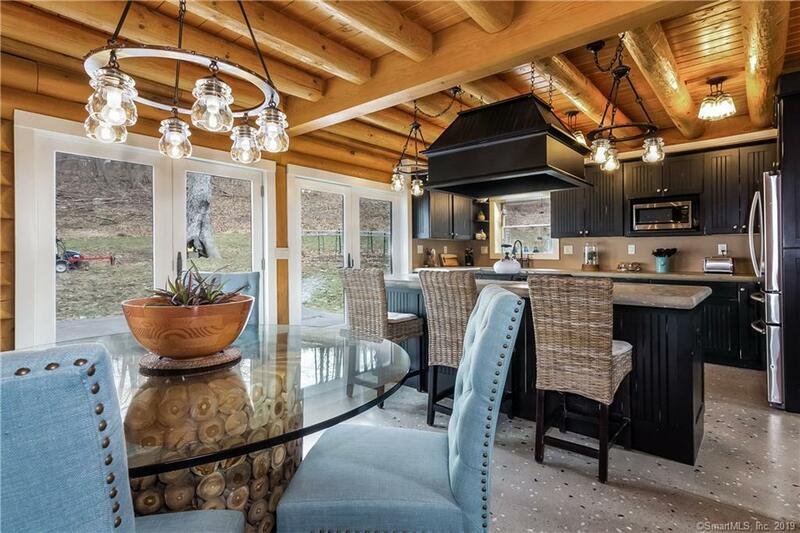 Unique to this home are the polished concrete floors throughout with flecks of brownstone and quartz added. 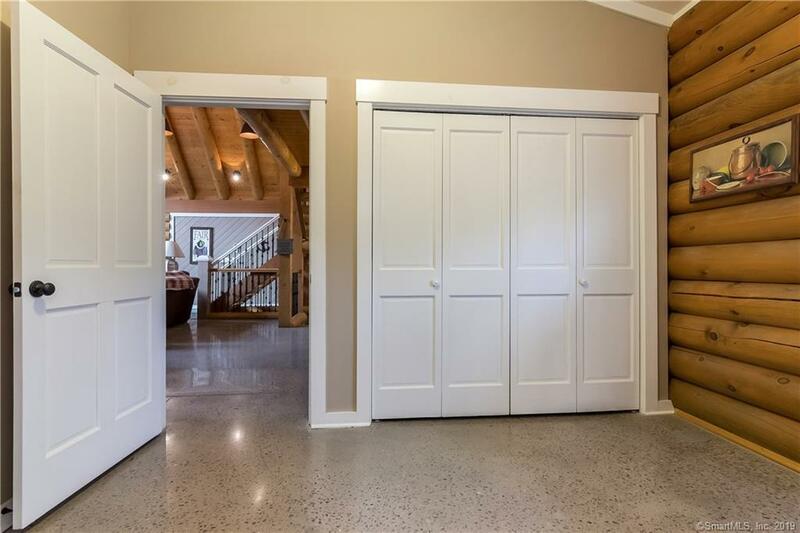 The state of the art radiant heat in the flooring uses a geothermal, energy efficient system with an average monthly cost of $200 for heat/AC and electric. 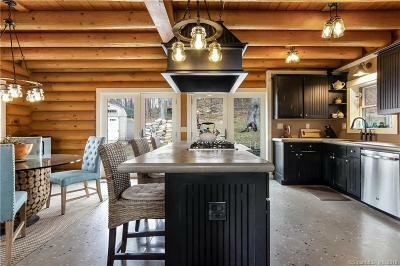 The kitchen has stainless appliances, a pounded copper sink, polished concrete counters, and black solid wood cabinets. 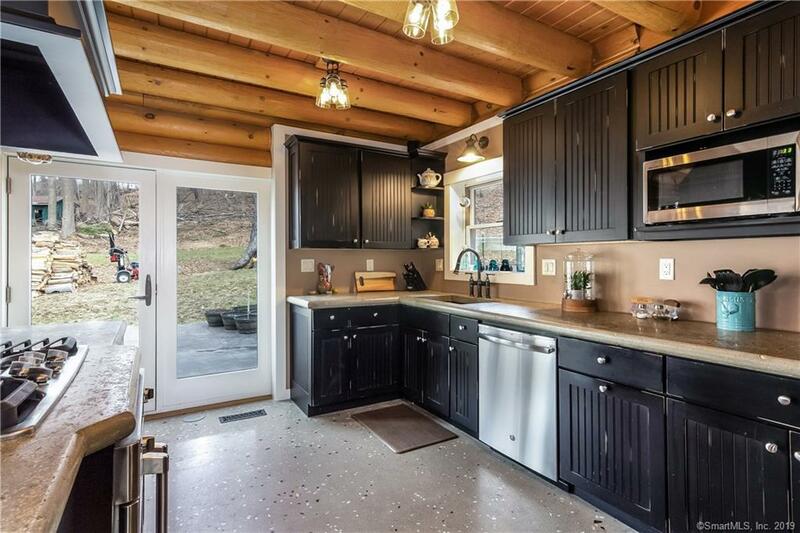 French doors from the kitchen and dining room lead to a rear patio. 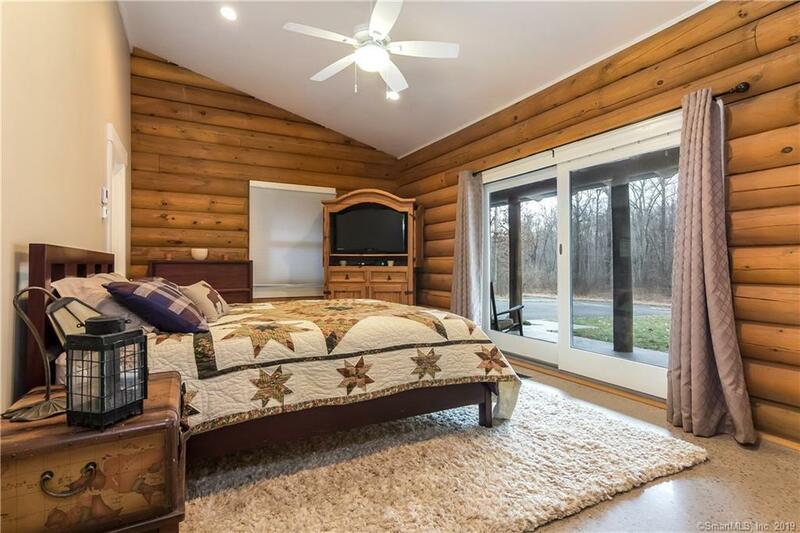 The bedrooms are separated into two "wings". 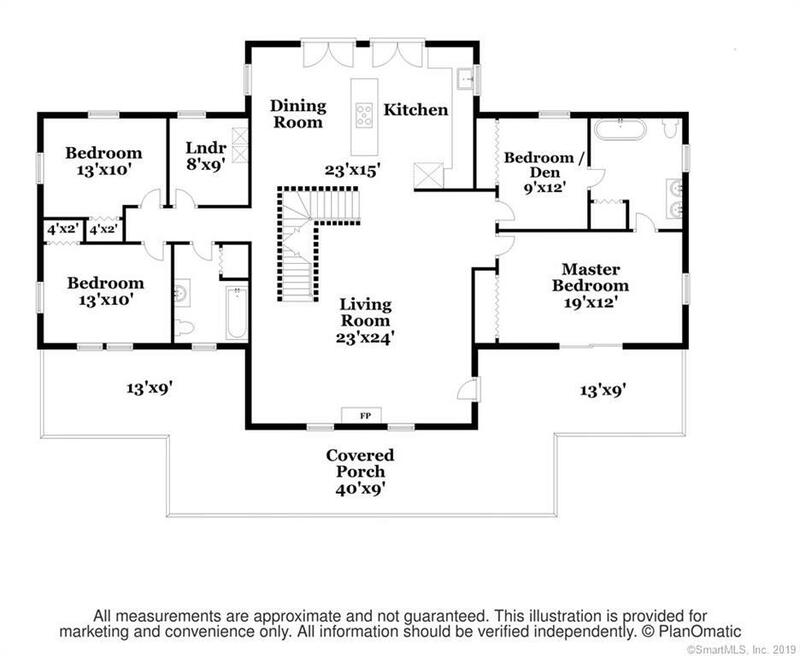 The master suite with full bath and office/den or a guest bedroom are in one wing and two additional bedrooms, a full bath, and laundry room are in the other wing. 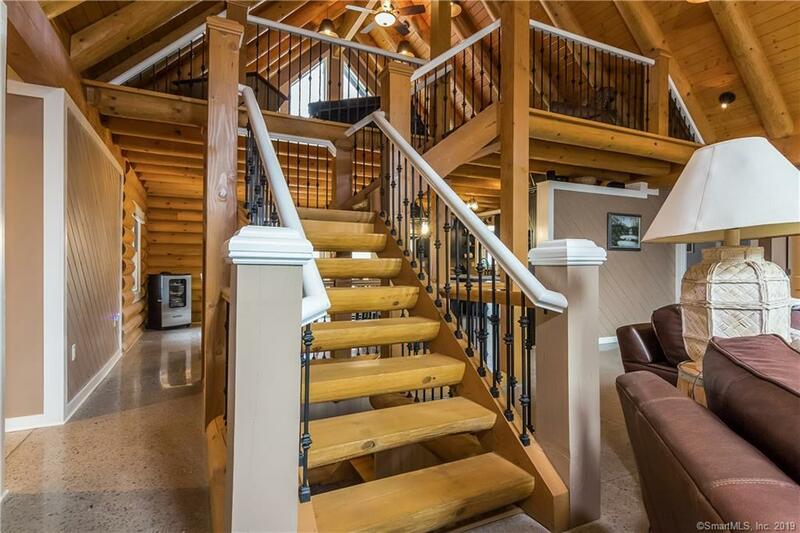 A log and wrought iron staircase leads to the loft overlooking the living room. 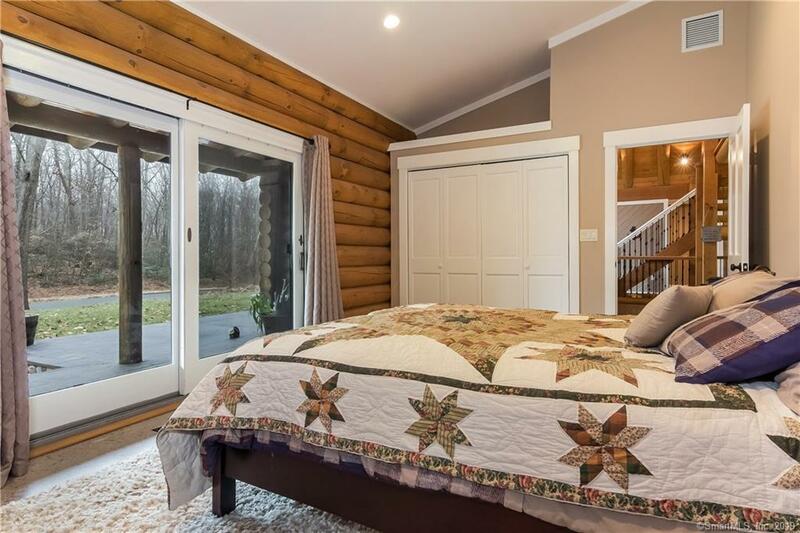 The rear wall of windows gives you a view to the yard while flooding the room (and living area below) with natural light. 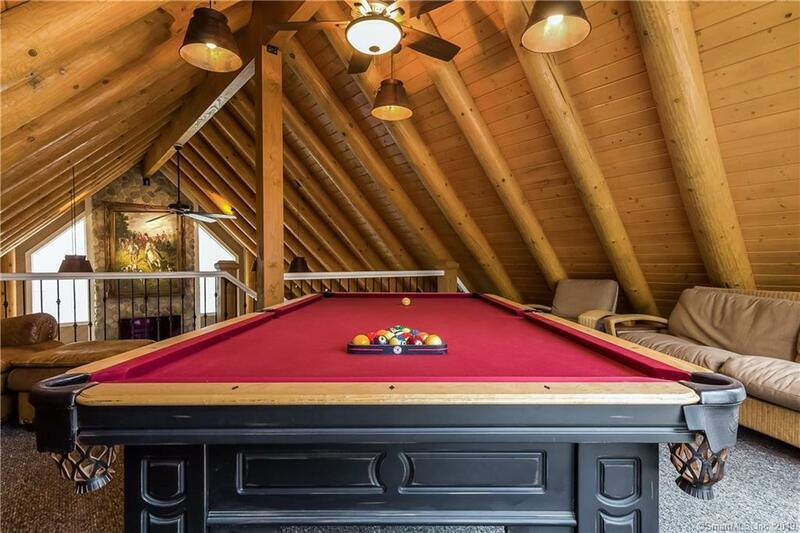 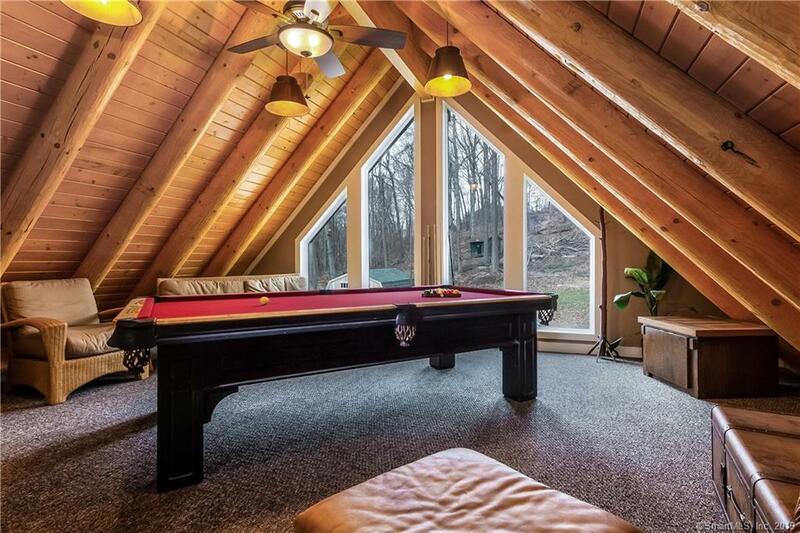 Currently setup as a billiard room with comfy seating, this space could make a wonderful studio or family room. 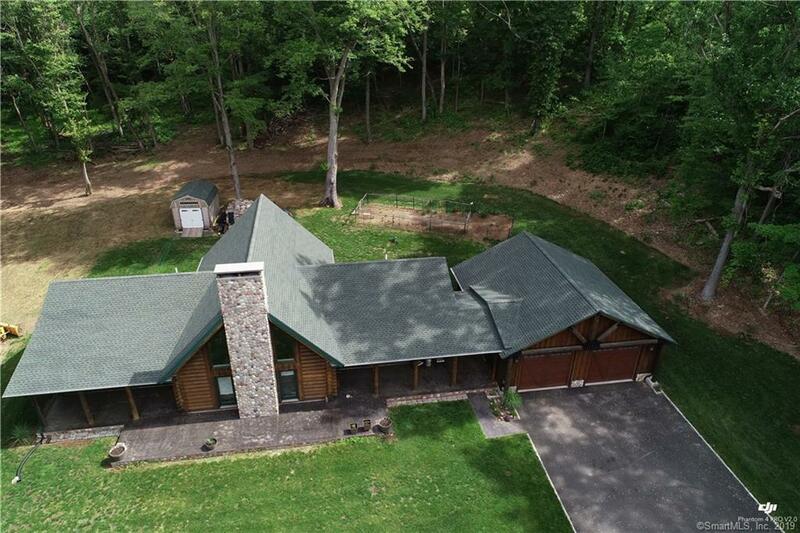 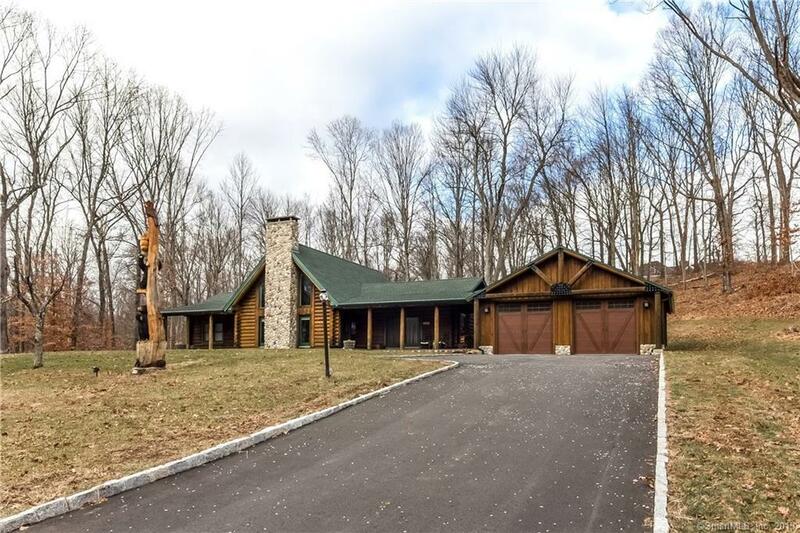 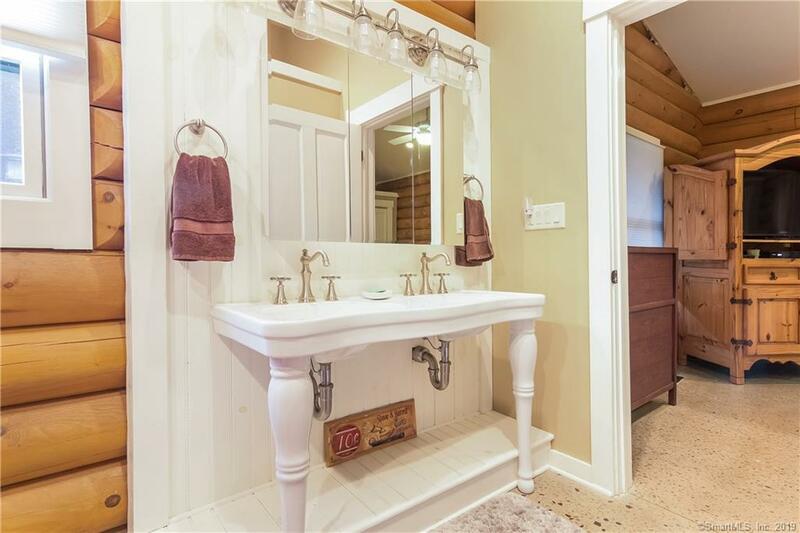 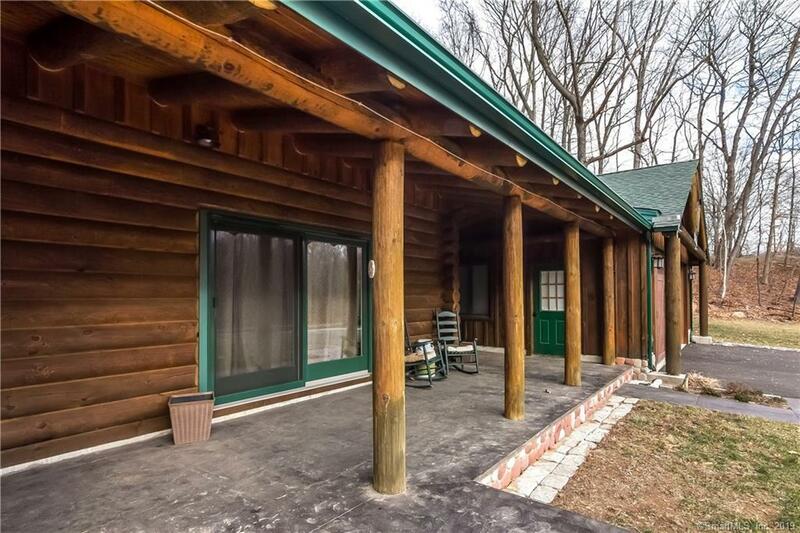 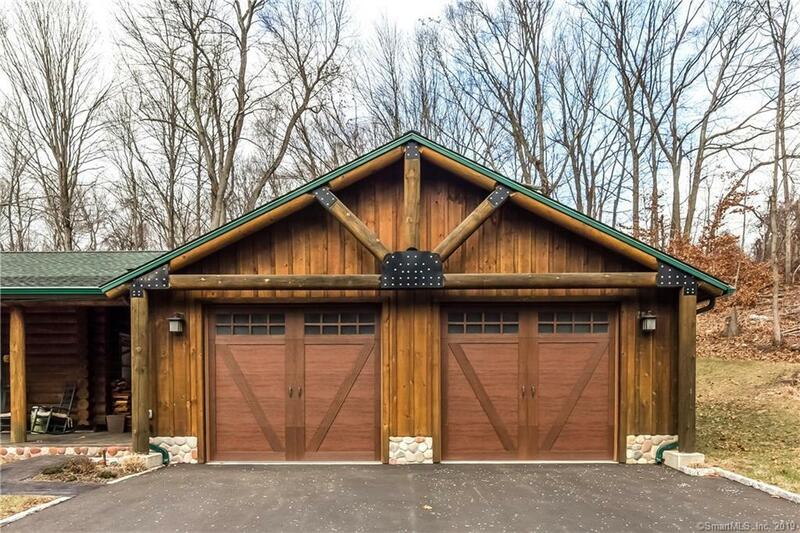 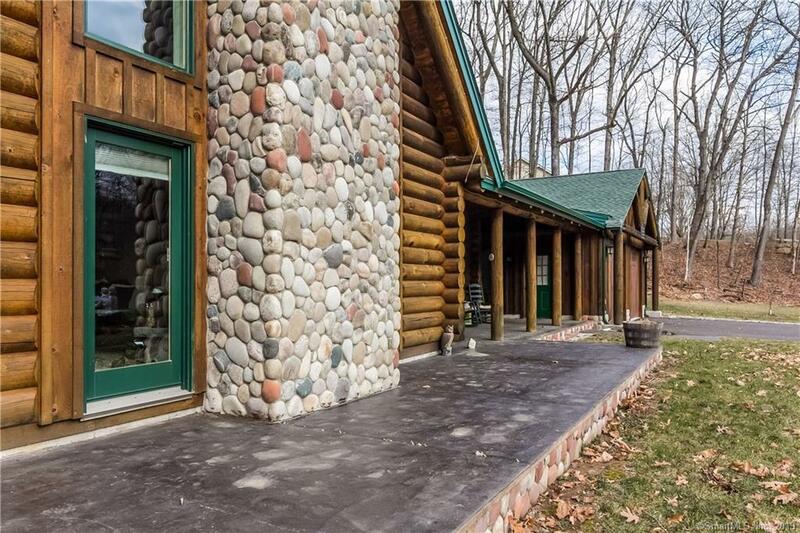 A combination of covered and open front porches, the oversized two car garage and carved "totem pole" add to the rustic character & value., Septic system is a 1250 tank. 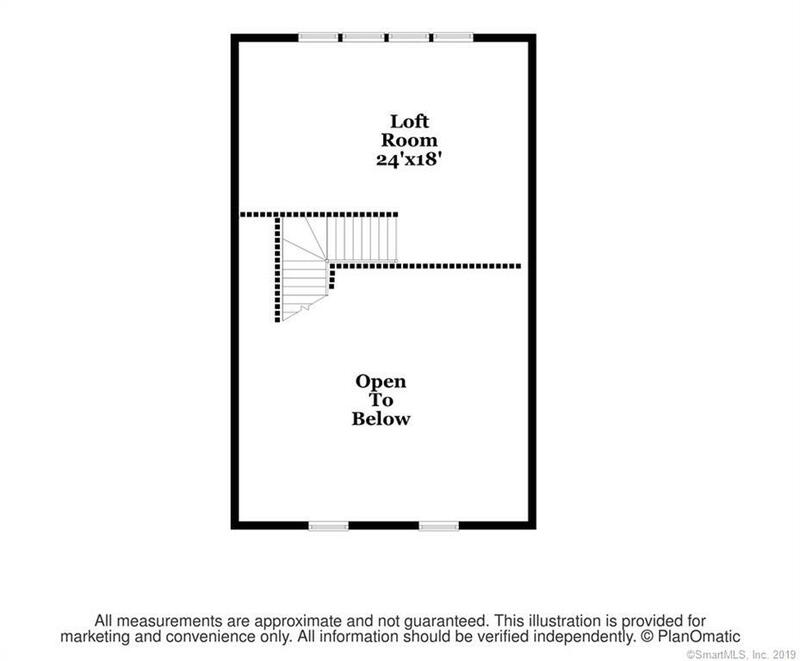 Space used as a den/office in "Master wing" could be included as a fourth bedroom. Directions: Route 79 To Old Blue Hills. 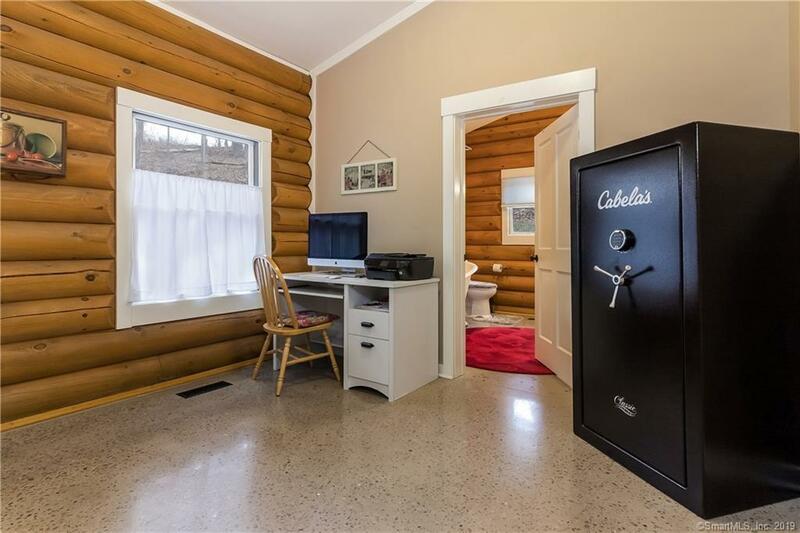 #204 Is On The Left. 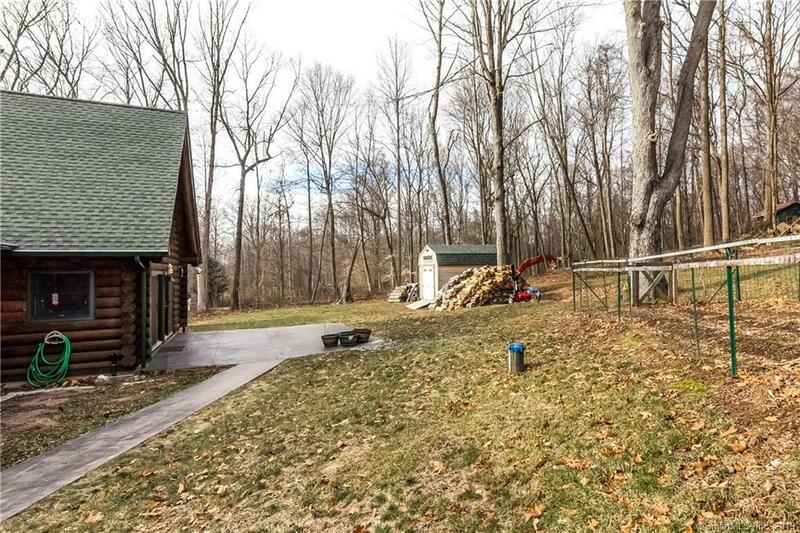 No Sign But Bear "totem Pole" In Front Yard.